One of the biggest money-makers in video games likely became even more lucrative this week. Developer Epic Games announced Thursday that the Android version of “Fortnite” would no longer require an invite to play. However, players still need to go through a bit of a process to get the popular shooter game on their Android devices. Any players who did not get into the Android version during its invite-only phase simply need to go to the game’s Android website on their devices. Alternatively, they can go to that page on a different device and use their Android phone to scan a QR code. Either way, they will get access to the last-player-standing battle royale game. “Fortnite” is not available on every single Android device. Epic has a list of supported devices on its website. Android owners who regularly play games on their phones might wonder why it is not available for download on the Google Play Store like most other games. Google takes a 30 percent cut of revenue earned in apps in the Play Store, meaning Epic would be left with the remaining 70 percent of the money made by the incredibly popular game. Mobile app metrics company Sensor Tower estimated Google could lose out on around $50 million from Epic subverting the Play Store. Apple’s revenue cut on iOS is the same, but “Fortnite” is available on the App Store on that platform. Thursday’s development meant anyone who did not get into the invite phase can now take advantage of the game’s sixth season, which started recently. “Fortnite” is entirely free to play, but makes its money by selling cosmetic in-game items, like costumes and dances, to players. The game enters a new season every couple of months and each season brings a new set of items to buy. That monetization structure has led to massive revenue for the game, which is available on every modern gaming machine. Recent data from Sensor Tower estimated the iOS version alone had grossed more than $300 million worldwide. 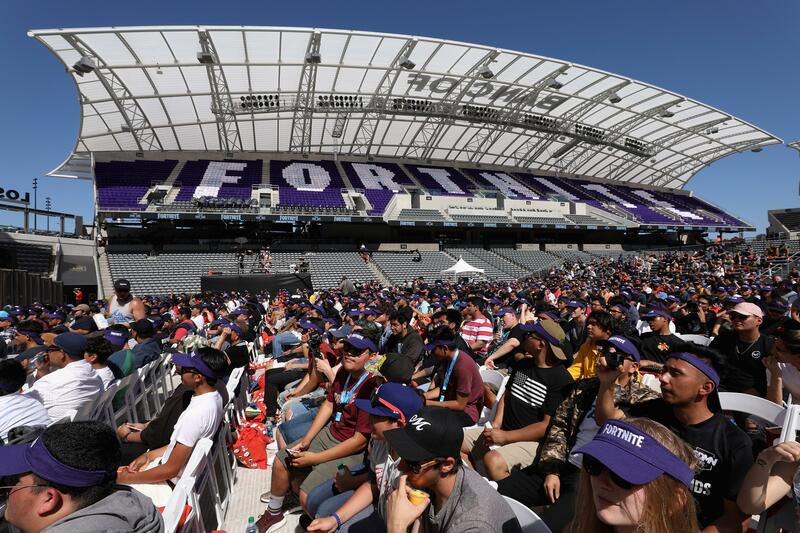 August was the biggest month yet for “Fortnite” with the game attracting more than 80 million players that month.